Inspired by made from scratch recipes of the famous Jimmy. They’re so good Jimmy’s grandma asks for the recipe. 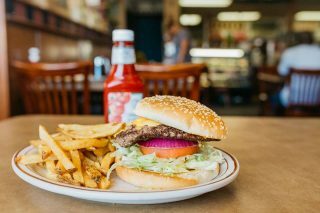 Our juicy 1/2 pound burgers are made with fresh, never frozen Angus beef. Served with a side of fries and our famous dinner rolls. 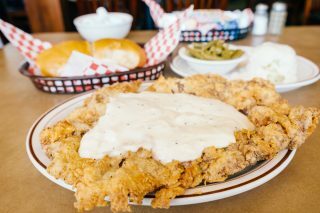 The original legendary dish at Jimmy’s Round-Up. Hand breaded chicken fried steak, covered in gravy, your choice of 2 sides and our famous dinner rolls. This is a must try! 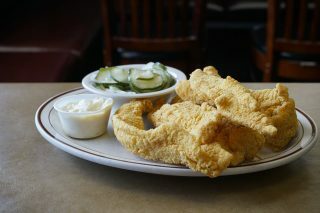 Hot and fresh to order w/ side of homemade tartar sauce and pickles, your choice of sides and dinner rolls. Served everyday or all-you-can-eat on Fridays & Saturdays. 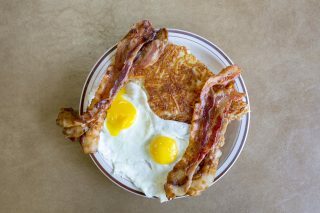 We offer breakfast specials starting at $4.99 6:30am-10:30am Mon – Fri. Our entire breakfast menu is available all-day, everyday. 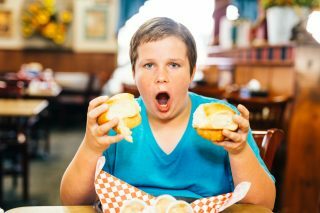 The legendary dinner rolls. 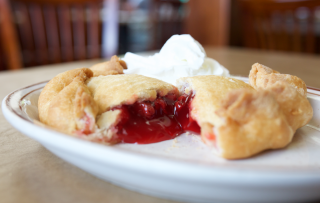 They’re so good you’ll be wanting to order a dozen to take home with you! Comes with all dine-in entree purchases. It’s part of our name. They’re that good. We make them several times a day from scratch. Choose from seasonal flavors such as apple, apricot, cherry, coconut, peach and more!